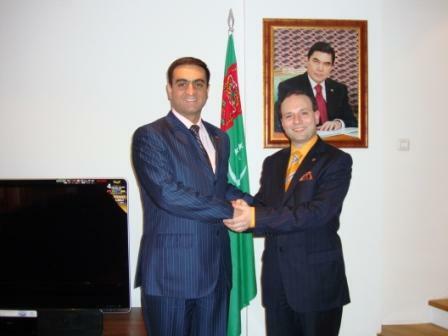 The bilateral relation Romania-Turkmenistan has become a rapidly increasing one after the opening of Turkmenistan Embassy in Romania. It could be considered that the bilateral relationship has grown with an outstanding speed becoming a strategic partnership. 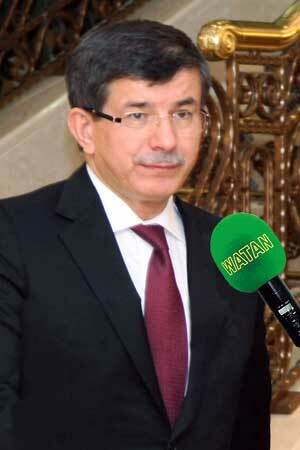 The visit of Prime Vice-Minister of Foreign Affairs of Turkmenistan H.E. Vepa Hagjyev for Romanian-European Union-Turkmen consultation in Bucharest between 24-26 January 2011 it is giving a new dimension and proof of the strength of bilateral relation. 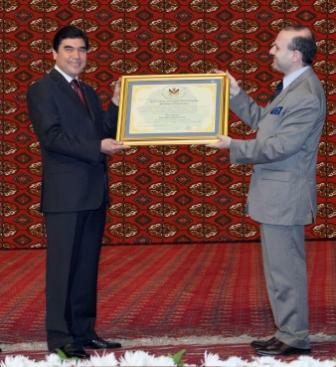 On 24 of January 2011 H.E. 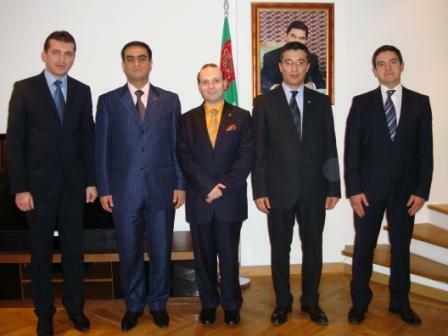 Prime Vice-Minister of Foreign Affairs of Turkmenistan has held discussion with a Romanian delegation from European Council on International Relations and Institute of International Relations and Economic Cooperation of Romania headed by Professor Anton Caragea, President of European Council on International Relations in order to build up a coherent strategy for further development and deepening of European Union – Romania-Turkmenistan relation. In his speech Mr. Vepa Hajyev has praised the important part played by European Council on International Relations in the bilateral relation dynamic and asked for further support from European Council on International Relations and Institute of International Relations and Economic Cooperation in building under the Ministry of Foreign Affairs of Turkmenistan a similar institution with the European Union and Romanian one. 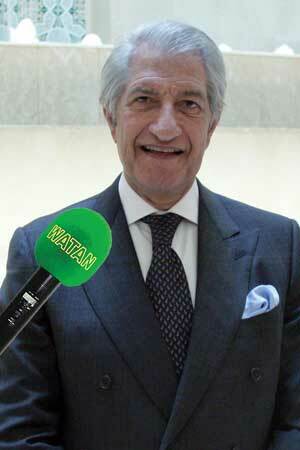 Your successful experience in building a highly successful and influential Institute in the European politics will have his fruition for our part, underlined the distinguish guest. The discussions have touched on a variety of issues ranging from the preparative for a successful high level visit of President of Turkmenistan H.E. 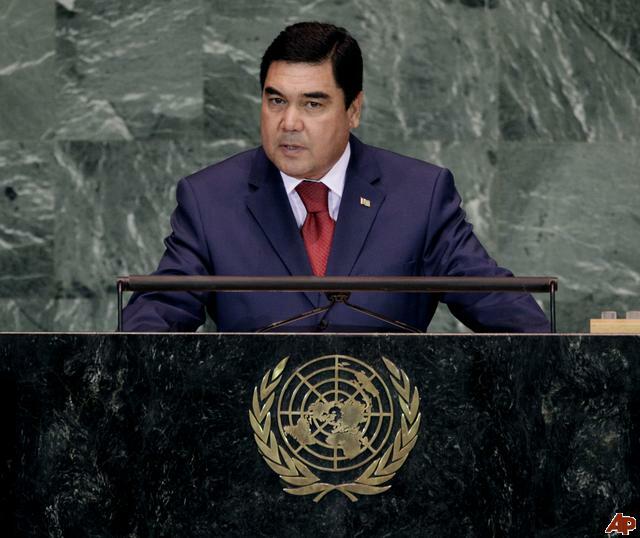 Gurbanguly Berdimuhamedov in Romania to economic cooperation. Professor Dr. Anton Caragea, President of European Council on International Relations has emphasized the necessity to fulfill the bilateral agreements reached during his visit in Ashgabat in December 2010 in order to maintain the ascendant path in bilateral relation. 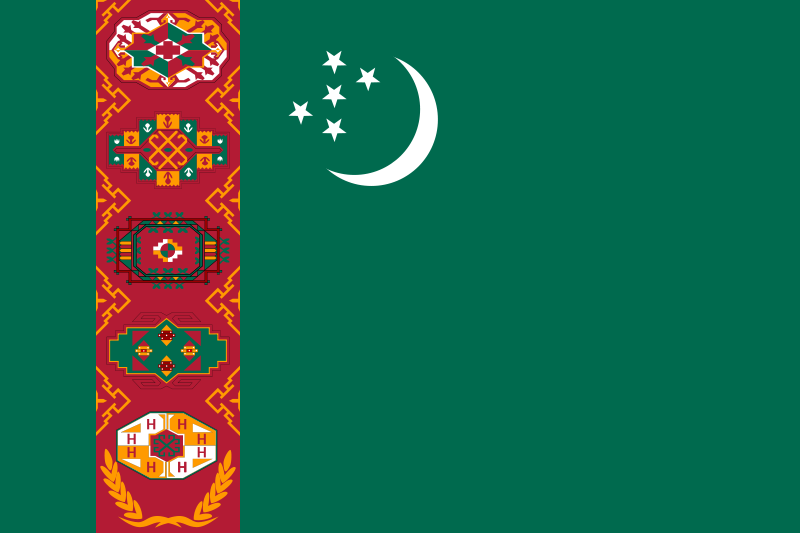 So it was reiterated the opening of a European Union -Romanian-Turkmen Trilateral Economic Forum in 2011, of a Turkmen Art Exhibition, and to continue the cultural exchange program with more than 5 European union cultural delegations invited in Turkmenistan. Concluding the discussion Mr. Vepa Hajyev has underlined in the European Union and Romanian part approval that European Union -Romania-Turkmenistan trilateral political relation could be described as an excellent one, the cooperation in international organizations is also a fruition one and there are all the opportunities for becoming a strategic partnership. 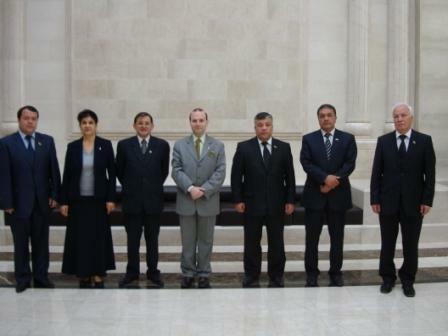 The official visit of Prime Vice-Minister of Foreign Affairs of Turkmenistan was a new success of Romanian and European Union diplomacy and a new step in building a long term relation with the Central Asia region, especially with Turkmenistan a beacon of democracy, political stability and economic development in the area. 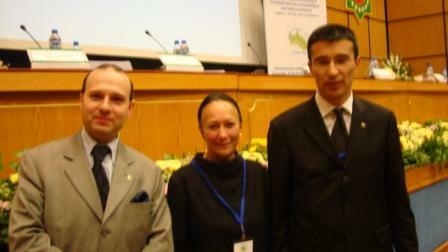 The Romanian-Turkmenistan relation is becoming a model for European Union relationship building with Central Asia region.